Did you know we are part of some sort of sales funnel every time we buy a product, and even before we buy? Either we deal with a brick-and-mortar business or with an online store, we as consumers have already entered their funnel. These days every online marketer and business owner talks about online sales funnels. Search Google News or read any sales or marketing blog, and you’ll see that sales funnels stories are there. Why is that? Because competition for a slice of the users’ pie has grown to be so intense, that companies find it too difficult to acquire new customers. Internet users have a limited attention span and, at the same time, they are exposed to a ton of advertising messages. From a business perspective, how do you stand out from the crowd? The only way left for the small business to gain momentum and drive sustainable growth is sales funnels. In this post, we will explain sales funnels in plain English. Our goal is to help you understand not their value –you probably know already that your business can’t survive without a funnel– but the integral components of a sales funnel. Let’s say you were about to hire a sales funnel expert to design your online sales process for you. How would that service look like? What deliverables would you expect to get? What would be the pages, tools and other elements that you’d want to see in your sales funnel? Knowing exactly what a sales funnel is (or what it can be in an more elaborate version) will help you negotiate a DFY funnel, ask for what you need and manage your expectations. Offer – What you’re selling. Follow-up – Your communication with your lead once they’re in your sales process. Traffic – The people coming to your website or landing page. 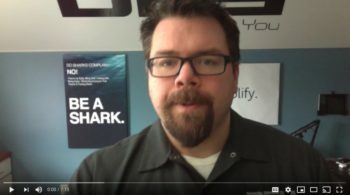 When you combine all three – traffic, your offer, and a follow-up process – you get sales! Now, these three sales funnel components are the minimum you’d expect to see in an effective funnel. Let’s break them down so you know exactly what comes with each one of these. You cannot expect to have sales if you have nothing to sell. It should go without saying, but, in reality, some small business owners don’t realize that they get no sales because they have no offers. In these cases, their bottom line won’t reflect an increase in web visitors. For your sales funnel to work, you need to have a clear, well-defined, branded product (or productized service) to sell. You also need a page where the potential customer can actually buy. This would be your “sales page”. A product and a sales page are the bare minimum. Then you’d also want to create downsells or upsells, which are another way to say complimentary products. These are products of a lower or higher price than the initial offer. They will be shown to non-buyers or buyers of the initial offer accordingly. So, if a sales page visitor doesn’t buy, then they might be presented with the downsell. On the other hand, if they buy, they will see an upsell on the next page, before they get access to the product. Now, what could your offer be? It could be anything from a physical product to a digital service. A pair of shoes, an eBook, a DVD, a downloadable training course, a monthly service, or yearly access to a cloud app. Anything that you can create and sell can play the role of an online offer. Before the offer, it’s best practice to first show people a free offer (called “lead magnet“). Most website visitors won’t be familiar with your brand. This is why they won’t buy right away. But still, you don’t want them to leave empty-handed. So, instead of driving traffic to a sales page, you’d want to have an opt-in page, where people give up their email to download a freebie. This way you add them to your mailing list and are able to contact them again. 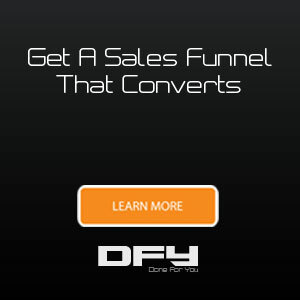 Now, this list of elements that are part of a sales funnel, may vary depending on your offer. For example, if your product is a webinar, then you’ll need a webinar registration page. If your product is a consulting session, then you’ll need a call scheduling form. Watch this video to learn how you can build your funnel pages and more with Scriptly's Page Builder. The reason why sales funnels have gained in popularity is that they can work for you on auto-pilot. Sales funnels are the exact replacement for a sales process in a brick-and-mortar business, plus they can be fully or semi-automated. Funnels are a nearly set-and-forget solution to attract, nurture and convert customers. Let’s assume, someone enters your funnel by filling out a form. Right after that, you need to have an automated lead nurturing process in place. So, when people subscribe to your email list, an automated email sequence is triggered. 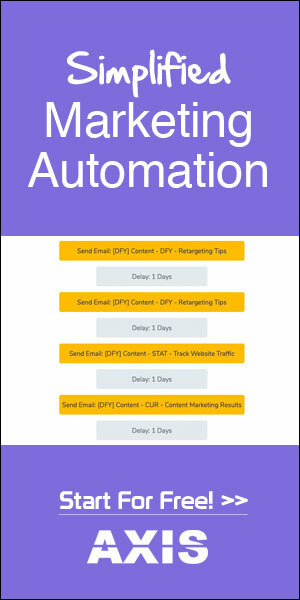 Whether it’s Monday morning or Sunday at midnight, automated workflows will take over and do the heavy lifting for your marketing on auto-pilot. Follow up may also include other types of free content, like webinars or videos. It is important to understand that follow up sequences are vital to a sales funnels. Only a fraction of your subscribers will be ready to buy immediately after they come across your pages. For the majority of your email list subscribers, you’d want automated emails and processes to do the job of warming up the leads until they are ready to become customers. You might be wondering, where does the follow-up stage end? Well, you can choose to stop following up when a prospect becomes a customer. But then why not have them become a repeat buyer? Email automation can be an infinite process that you can set up once and have it work for your business 24/7. Sometimes when you buy a DFY sales funnel, the freelancer or the agency you chose will “forget” to tell you about traffic. In reality, you wouldn’t expect to sell without having a way of getting the right people to see your offer. Unless your website has enough organic traffic already (coming from Google search results), you need a traffic method to attract people that are interested in what you have to offer. That is why we are advocates for traffic as a major part of a sales funnel. You need to have solved the puzzle of targeted traffic before a sales funnel is ready to go live. To drive traffic you also need to know who your ideal customer is. Some examples of traffic sources are Facebook Ads, Google AdWords, LinkedIn posts, Quora answers, guest posts, podcasts, YouTube videos to name just a few of the most popular ones. Are you’re looking for a done-for-you sales funnel, or do you need to understand what exactly a sales funnel looks like? We hope that this article about the structure of a base funnel helped you find the answer. Now, let’s wrap up. You need to drive web traffic (visitors) to your offer (product or service) and then follow up (automation) until the leads proceed to purchase. In short, all of the above elements are the basic components of a sales funnel. Therefore, if you worked with a sales funnel expert you should be able to discuss these elements and get them done for you — except the offer, the lead magnet and the advertising budget, which are basically your job. 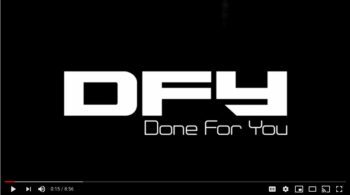 Our team at DoneForYou.com can manage the whole process (even the product or lead magnet creation) and deliver a complete done-for-you sales funnel that is customized to your needs -- but still proven to convert, because of the tested funnel parts (e.g. opt-in page) that we plug in and optimize. Our experts can work from square one to create an offer, design and build all of the pages, write high-converting copy, and set up automated email sequences. We create, test and deliver sales funnels that operate like clockwork 24/7 without you having to do the work. Sound interesting? Schedule a free session to discuss what your own sales funnel would look like.